A war veteran can’t remember how she was crippled. Lt. Blossom Bartlett is recovering from misdiagnosed PTSD and is unable to walk after a classified mission goes wrong during the war. Unable to recall the details of her accident, she is harassed by government officials who cut her medical funding and send her back home to a second-rate recovery unit. When she starts having bizarre flashes of savage violence, she doesn’t at first connect it to the lost memory – the day that changed the direction of the war. I opened my eyes. The glass wall was the glass of my cockpit so that it was as if I was encapsulated in a blue bubble of sky. 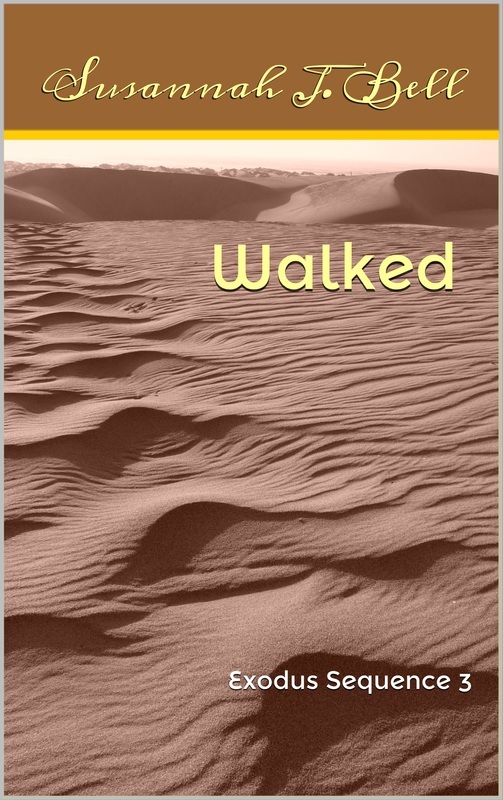 The desert sands rolled in waves beneath me. I was flying low. My engines were so quiet they registered only as a vibration in my bones, a rush of wind in the air if anyone observed me but there was little chance of being observed. There was no one on the ground. I could feel the package tick. This story didn’t begin life in the Exodus Sequence. It was influenced by a book I read as a child in which all the action could only be seen indirectly i.e. in the protagonist’s peripheral vision so that you could never be sure what was happening was actually real. I wrote this story while working in a job I bitterly hated which explains the high level of violence. I could never get the ending right, though, and it wasn’t until the advent of The Exodus Sequence that the mystery of Bloss’s lost memory was resolved. The story had to wait over ten years to find out where it fit in the pantheon of my creations. Of all the Exodus stories, it’s the most accessible. It’s also the only story I’ve ever written that is set in Pretoria – recognisable by the jacarandas and the hadidas – and is set quite far in the future of the sequence as the moon has already been shattered into pieces.